Once upon a time, I was a little girl who, more often than not, spent hours on end living vicariously and aimlessly wandering through the pages of books. Sure, I played outside. A LOT, actually. But coming inside was not really ever a problem because there was always a book that was just as enticing as building a dam on the creek behind our house or putting pennies on the railroad tracks at the far end of the neighborhood. There was always a story just as thrilling as riding my bike down the “big” hill. There was always a character I wanted to spend as much time with as I did my friends. I was the kind of kid who sat and read (then re-read the next day) cereal boxes. My mom rarely had to convince me to take a bath as a child, because I usually had a mystery to solve in a Nancy Drew book, and with it hovering on the edge of the tub, bath time became sleuth time as well. I’ll take them in any form, really, I will. Audio, digital or the ones where I can physically turn the pages. Although, I really do still prefer the real ones. I find immense satisfaction in turning the pages and seeing how rapidly the end approaches. Honestly? My idea of heaven would be a nice little window seat in a cozy, sun-filled room, window open, just enough of a cool breeze flowing through the window that I need a fuzzy blanket on my lap, and a cup of tea or hot chocolate within reach. 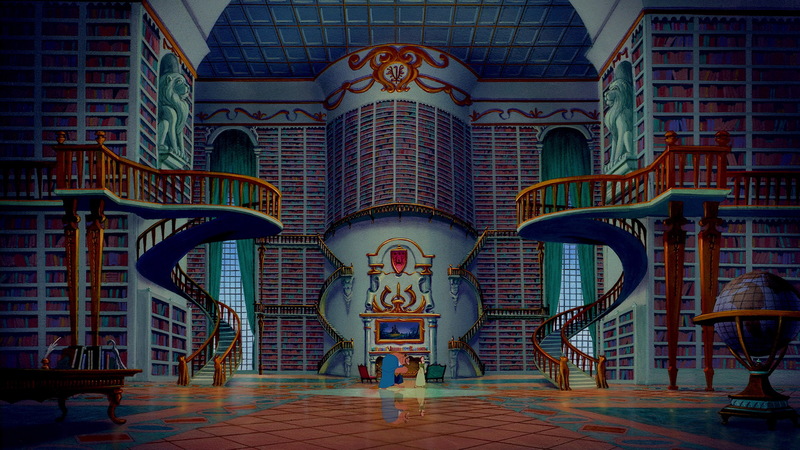 And then, just like in Beauty and the Beast, a massive library with one of those ladders on rails so I can find whatever my heart desires. (Because Belle is my cartoon alter-ego.) Maybe a delivery once a day from Amazon with a new book as well, because, after all, I’d have eternity to spend reading! To endure what she did, and yet persist in believing in beauty in the midst of that cramped, darkened apartment? I’d love to know what kinds of lessons have been imprinted on your heart by the books you’ve read. In a few days, I’ll return the favor and recommend a few of the books that changed my life. Who knows? We just might make each other richer for it! I’ll start by giving you 2 of my favorite books. First, Living Prayer by Robert Benson. As you might guess, the main thought in it is prayer. But not regular, formal prayer. It’s about living life as a prayer, finding God in ordinary, mundane life. The other book is One Thousand Gifts by Ann Voskamp. In one word? Gratitude. Again, finding gratitude and God in the ordinary. Can’t wait to hear others’ recommendations. Thank you for your recommendations. As I mentioned, I pretty much always check out reviews on Amazon, and Living Prayer has received nothing but spectacular views. Needless to say, it’s in my shopping cart and on my “to-read” list! And I totally agree about Ann Voskamp’s book.